What is Motion Graphics – What is the difference from 3D animation? The relationship between humans and cinema has always been a bit like moths to the flame. We are naturally drawn to the light. In movie theaters, with our phones in hand, driving by digital billboards, our eyes move towards the glow. So why do motion graphics and 3D animation matter? What exactly are the differences between them? What does it mean for your brand and the story you’re trying to tell? They both tell some semblance of a story, the boundaries blur when it comes to motion design and animation. “The distinction lies where traditionally animated film features a story in which the characters express themselves.” Ultimately the two disciplines will tell stories, communicate ideas and evoke wonderment. Something important to note is that “motion graphics” goes all the way back to the very beginning of cinema. When the opening credits rolled in the very first film, that was motion graphics. Before we called it motion graphics. “Motion Plus Design” Center : “What is Motion Design ?” from Motion Plus Design on Vimeo. Today, the opening title sequences of our favorite shows and movies are riddled with intricate motion designs that buoy the necessary credits. Which kick off the episodes and flicks we binge watch without remorse. These sequences also establish a tone and remind the audience of the franchise they’ve been engaged with all along. Think of the James Bond series, Mad Men, Game Of Thrones, and Sesame Street. Their fonts, colors, movements, and message all burned into our brains, giving us a sense of familiarity — something memorable. Motion graphic design predates the modern technology filmmakers use today. It’s evolving into a more refined art with endless possibilities due to the universal availability of software programs like After Effects and Cinema 4D. In 1960, John Whitney was one of the first to recognize the art form’s place in the world and start using the term conversationally. His company’s name: Motion Graphics Inc. The clips above & below explain a little bit of that and features contributions from Saul Bass and Elaine Bass. Pioneers in feature film sequences whose work includes The Man With The Golden Arm (1955), Vertigo (1958), Psycho (1960), and Advise & Consent (1962). At the heart of all of Saul and Elaine’s work is the mission to use simple graphics to convey a film’s mood. What Exactly is Motion Graphics? 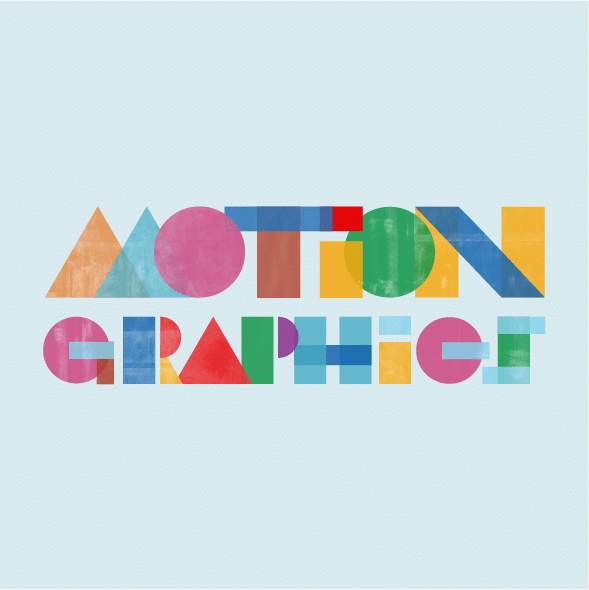 “Motion graphics” or “Motion Design is graphic design put into motion. Motion graphics is an art. Similar to graphic design, motion graphics borrows elements from photography, illustration, typography and more to create visually engaging compositions. Thanks to illustrated objects, characters, and backgrounds – motion graphics videos move, interact and transform in a way that tells a story or explains a process. Motion graphics provides designers with a vehicle, to let their imaginations run wild. Facilitating the use of visual metaphors to represent ideas that give the viewer a unique perspective on a story, product or service. Only the imagination can limit the kinds of stories a motion graphic designer can tell. On Facebook, 85-percent of video content is watched without sound. Even without sound, motion graphics allow audiences to visualize the information. Motion design give potential clients an engaging alternative to reading a whitepaper, watching a mind-numbing Powerpoint presentation or listening to a sales pitch. Commercial motion design projects can also be referred to as, explainer videos. Motion design can demonstrate complex relationships, visualize data and convey narratives in a way that other mediums just can’t match. Motion graphics can communicate complex ideas in a short amount of time. So, anyone from 5-years old to 105-years old will have the ability to understand brand messages better the first time they see them. Motion design is ubiquitous these days, and you’re met by it no matter where your eyes go. You’ll find them on digital ads, your phone or every time you tune into your favorite TV and films. Motion graphics provide a viable way from startups to Fortune 500 companies to maximize your ROI and produce visually engaging content without breaking the bank. Even in the B2B market space, 73-percent of agency and management professionals believe that video positively impacts marketing results and ROI. Depending on your media buying strategy, digital video ads can even be more profitable than the advertising run on television. Have you ever been hit in the head with a concept for an explainer video or motion design that you think is a good idea for your brand? Did its brilliance hurt? Did you share that idea with anyone? Our team at ES Creative loves it when someone sends a concept or example to get the conversation going. We’re passionate about the challenge of creating something truly unique that speaks in your brand voice.